This is driving me nuts. I got a Sonoff T1 switches flashed with Tasmota. On v5 everything worked liked a charm for months. Few weeks ago I’ve decided to update to the newest version of Tasmota (huge huge mistake!) and now my lights are turning on and off by itself randomly. I can’t figure out why the number is inconsistent and varies between hours/days. Also the kitchen light is in close proximity to the access point (in plain sight, around 5m away). Does anyone have any idea what I can check/change to fix it? I’m on the 6.4.1.12(4509019-sonoff) version with 2.5.0 core but I don’t see any improvement. My wife slowly looses her patience… To be fair me too, I had to turn off the light three times during the night today. Hi! i have the same problem, Did you already fix the problem? Yes, I did! 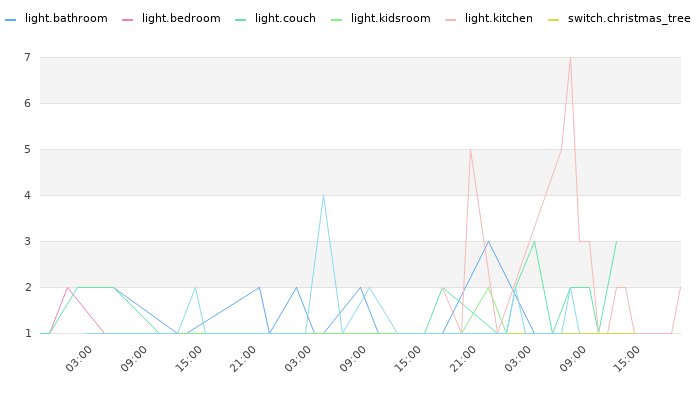 It tuned out that it was not a problem with Tasmota firmware (I think), but rather with MQTT broker that was causing the WiFi disconnects in the Sonoffs. I want to make sure that all retain messages are cleared out (I have issues with Sonoffs turning on and off randomly during the night).